The new Toyota Camry Hybrid is a lot more stylish and smarter, and come equipped with a host of updated technology offerings. But where does it stand against its key rivals - the Honda Accord, Skoda Superb, and Volkswagen Passat on paper? Let's find out. The new-gen 2019 Toyota Camry today officially went on sale in India, at an introductory price of ₹ 36.95 lakh (ex-showroom, India). Although priced at about ₹ 27,000 cheaper than the previous generation model, the eight-gen Toyota Camry Hybrid is a lot more stylish and smarter, and come equipped with a host of updated technology offerings. The car is now built on the company's Toyota New Global Architecture (TNGA) platform and comes with the newly developed dynamic force engine and the fourth-gen Toyota Hybrid System. 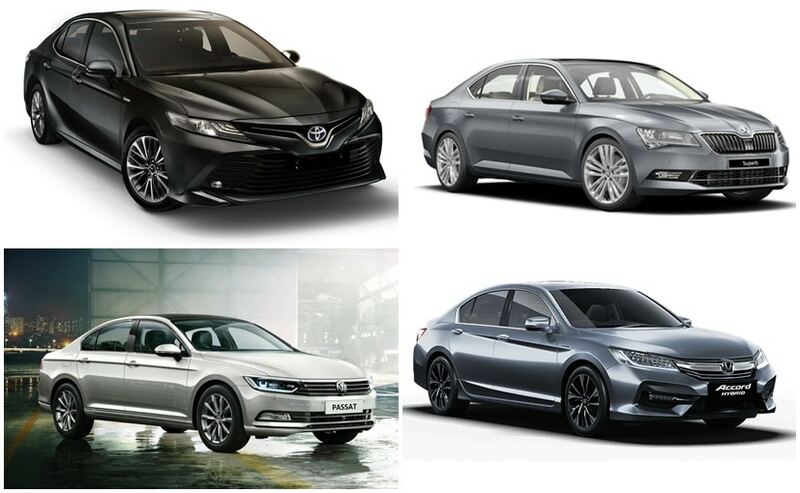 So, where does the new Camry stand against its key rivals - the Honda Accord, Skoda Superb, and Volkswagen Passat on paper? Let's find out. The Toyota Camry Hybrid will catch the most eyeballs of the lot and there is no question about that. The car comes with a massive grille with chrome details and sleek LED headlamps and DRLs and LED taillamps. The car comes with some bold muscular lines on the hood and profile, adding to its aggressive stance. The Honda Accord too gets a similarly bold-looking face, but not as dramatic as the new Camry. The car does come with LED headlamps and LED DRLs with LED taillamps, like the Camry. 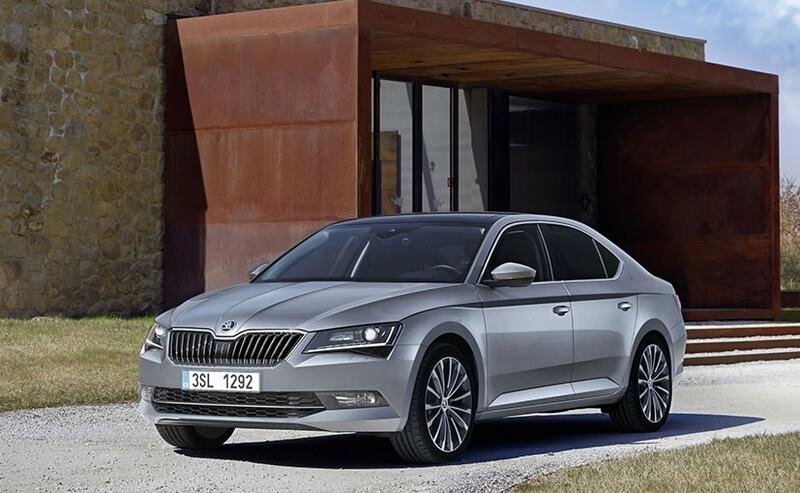 That said, in our opinion, it's the Skoda Superb that is the most good-looking, thanks to its clean lines, angular elements and has a poised stance. This one too gets LED lighting in the top-end model. The Volkswagen Passat comes with a sculpted bonnet along with the sharp-looking front end gives it solid road presence, and it also comes with LED projector headlamps and integrated DRLs. The new Toyota Camry is only offered in its hybrid guise in India at the moment. Powering the car is the same 2.5-litre petrol engine as before, which pumps out 176 bhp at 5,700 rpm and 221 Nm at 3,600 - 5,200 rpm. The engine comes paired to an electric motor which alone makes 118 bhp and 202 Nm of peak torque taking the total power output to 208 bhp. The engine comes paired to a 6-speed CVT transmission as standard, and Toyota claims a fuel efficiency figure of 23.27 kmpl for the 2019 Camry Hybrid. The only other hybrid in this list, the Honda Accord Hybrid, on the other hand, comes with 2.0-litre, 4-cylinder, a naturally-aspirated engine with an electric motor powered by a 1.3 Kilowatt/h lithium-ion battery pack. While the petrol engine churns out a maximum of 145 bhp and 175 Nm of peak torque, the electric motor puts out 184 bhp and a peak torque of 315 Nm. The Honda Accord hybrid's combined power output is rated at 212bhp. The motor is mated to an Electronic Continuously Variable Transmission (E-CVT), and the car offers an ARAI certified mileage of 23.1 kmpl. The Volkswagen Passat gets a single 2.0-litre TDI engine which makes 174 bhp and is mated to a 6-speed DSG. The Passat has the lowest claimed fuel efficiency among the four cars here at 17.42 kmpl. The Superb gets a 1.8-litre TSI that makes 177 bhp and 250 Nm torque and a 2.0-litre TDI that offers 174 bhp and 350 Nm of peak torque. The petrol engine on the Superb can be fitted with either a 6-speed manual or a 7-speed DSG while the diesel engine gets only a 6-speed DSG. In terms of pricing, it's the Honda Accord that takes the lead for being the most expensive, at ₹ 43.21 lakh. About ₹ 6.26 lakh cheaper is the newly launched Toyota Camry Hybrid at ₹ 36.95 lakh, and both these models offered in only one variant. 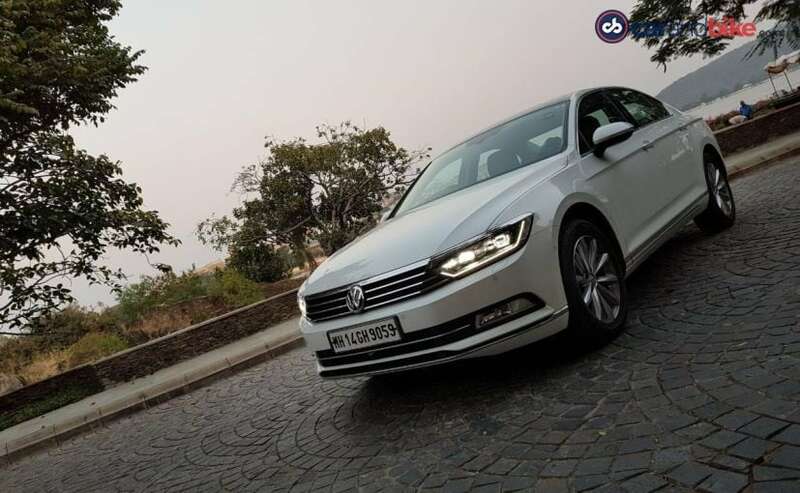 The top-of-the-line Volkswagen Passat is about ₹ 3.75 lakh cheaper than the new Camry at ₹ 33.20 lakh, however, the entry-level Passat Comfortline Connect Edition is priced at ₹ 25.99 lakh. On the other hand, The Skoda Superb is the cheapest of the lot with the base variant priced at ₹ 23.99 lakh, while the top-end model is close to the Passat at ₹ 33.49 lakh for the Superb Sportline model, (all prices ex-showroom India). 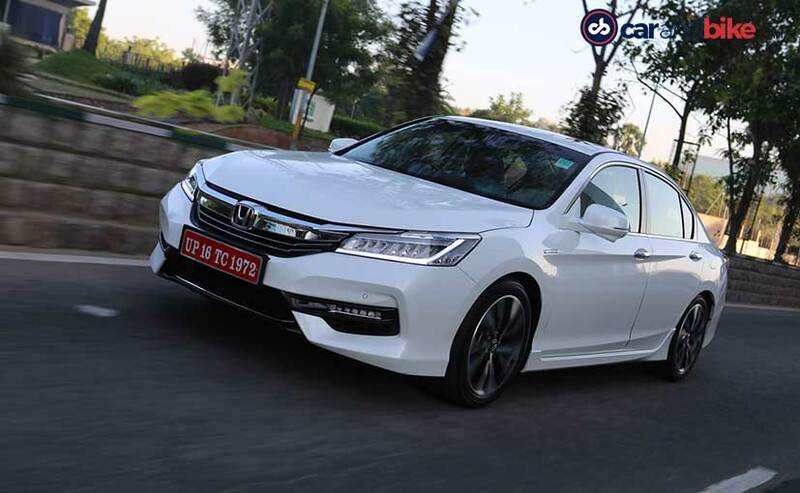 While we will be pitting these cars against each other in real-world conditions, on paper, it's the Honda Accord Hybrid that is the most powerful, but the car is also the most expensive mainly because the car is sold in India as a Completely Built Unit (CBU). On the new Toyota Camry Hybrid, on the other hand, is barely 4 horses short when it comes to power than the Accord, but it's also the most fuel-efficient hybrid car at 23.27 kmpl. 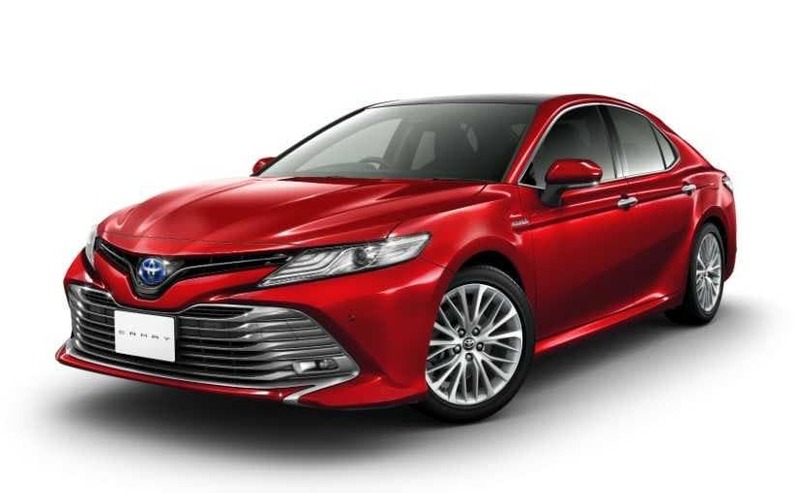 So if you want a hybrid car, then the Toyota Camry makes the most sense, especially when you consider that in terms of features they are very much alike, and it also looks much more stylish. However, if a hybrid engine is not a key aspect of your buying decision, then, on paper the Skoda Superb makes the most sense, mainly because it's the most affordable of the lot, more powerful than its rivals (only engine power), and offers the option of both petrol and diesel engines.